Have you ever considered having a summer bucket list for kids? School is almost done, it’s getting hotter (we were up to 90 degrees this week), schedules and expectations are changing. Maybe your kids aren’t yet old enough to be in school but you still want to make summer special. There might be a big vacation planned or maybe you are saving money this year and staying home. One way to keep things fun is to have a Summer Bucket List. Have your kids help come up with fun summer activities and narrow it down to your top 10, 20, 30 or however many you think you have time for over the next few months. Write them down on a chart and tackle some each week checking them off as they are accomplished. Having a Summer Bucket List for kids will make the summer of a staycation more exciting or help the weeks before and after a big vacation go by quickly. The kids will love having lots of little summer activities to look forward to. I have a 6 year old, 4 year old, and a 14 month old. The older two would love all these ideas (and even helped brainstorm) and the baby eagerly does whatever her big siblings do. I have 31 free ideas and then a bonus 21 extra ideas that begin at just a couple dollars. If you keep scrolling to the end of the list, I have a printable list of all 52 ideas and a blank form you can use to make your own bucket list to check off this summer. 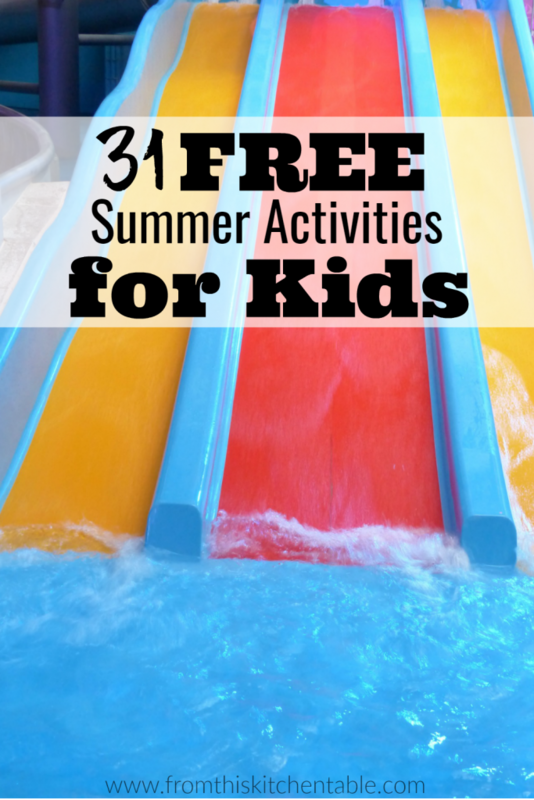 Here is a printable list of all of the summer activities for kids! 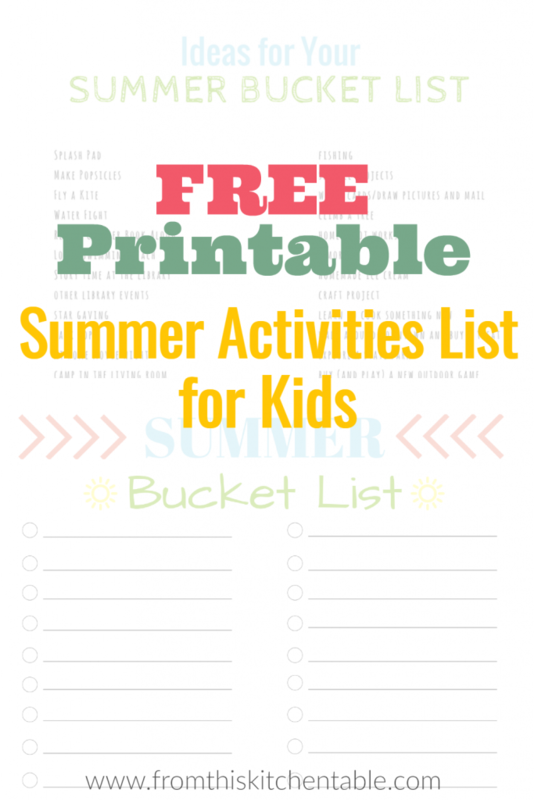 Here is a blank form you can use to create your own summer bucket list for kids! What are your favorite things to do during the summer? This entry was posted in Family, Home on May 30, 2017 by Deanna Michaels.